Fourteen 23-Minute Messages. Over 5 Hours of Teaching. This is a good place to start. The lectures seem to be following O. Palmer Robertson's &quot;Christ of the Covenants?&quot; From here move on to meatier study of the covenants like Fairbairn, Witsius, or practically anything from Meredith Kline. Covenants clearly foundational in Scripture. 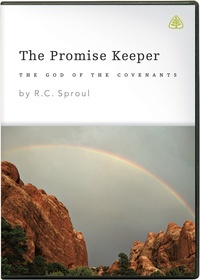 Dr Sproul explains clearly, by exegesis, the foundational quality of God's promises as recorded in the Bible. Various other 'eisegetical' views are sensitively dealt with, without condeming individuals who believe them. After having watched this series I am now utterley convinced that a 'covenantal' approach to understanding the Bible is the correct method because it is the way the Apostles, under the guidance of the Holy Spirit and through Jesus' teaching, understood the Bible themselves. I am now exposing my friends to this ministry because Dr Sproul explains these things so much better than I can. The visual quality of the presentations is poor, however it doesn't detract from the message.